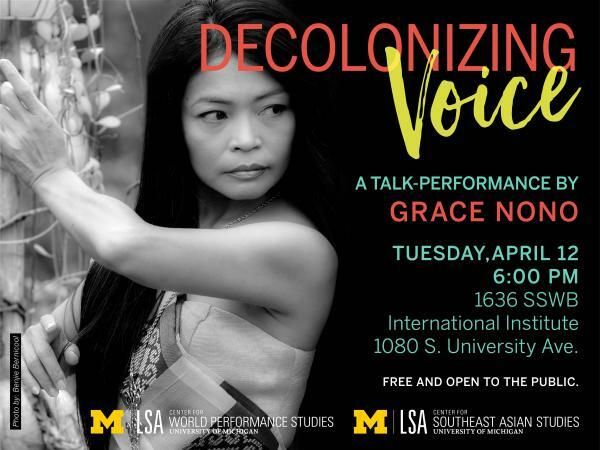 Grace Nono is a music-performing artist, ethnomusicologist, and cultural worker. She received her BA from the University of the Philippines-Diliman and her doctorate in Ethnomusicology from New York University. A recipient of numerous fellowships, Grace is currently a research associate and visiting faculty at the Women's Studies in Religion Program at the Harvard Divinity School. In the last fifteen years Grace has been specializing in the contemporary performance of Philippine sung oral/aural traditions with sacred themes-taught to her by oralists from different parts of the Philippines. She has published two award-winning books with recordings: “The Shared Voice: Chanted and Spoken Narratives from the Philippines,” ANVIL Publishing and Fundacion Santiago, 2008; and “Song of the Babaylan: Living Voices, Medicines, Spiritualities of Philippine Ritualist-Oralist-Healers,” Institute of Spirituality in Asia, 2013. As a cultural worker, Grace founded the Tao Foundation for Culture and Arts, a Philippine non-government organization engaged in cultural regeneration initiatives. To date, Grace has won over 40 awards, including The Outstanding Women in the Nation's Service, the University of the Philippines Distinguished Alumni award, three Album of the Year awards, three Best World Music Album awards, and three national book awards. Sponsored by the Center for Southeast Asian Studies; co-sponsored by the Center for World Performance Studies.